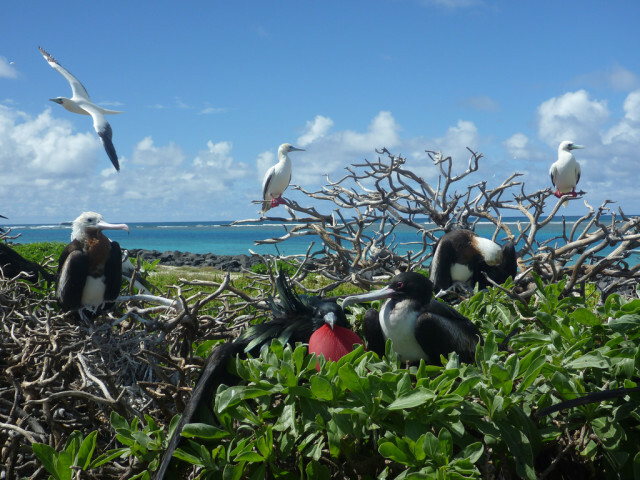 A million-dollar conservation mission to Papahanaumokuakea, the 582,578-square-mile national marine monument in the Northwestern Hawaiian Islands that Interior Secretary Ryan Zinke once considered shrinking. The money came through, in large part, because of maneuvering by Hawaii Sen. Brian Schatz, who sits on the Senate Appropriations Committee. 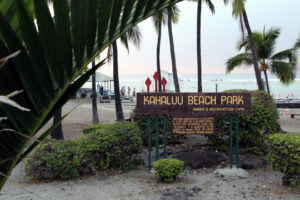 U.S. Sen. Brian Schatz was able to help secure funds for research at Papahanaumokuakea Marine National Monument despite an earmark ban. Schatz also had the help of billionaire tech entrepreneur Marc Benioff and his wife, Lynne, who helped fund the federal research grant with their own money. The creativity was necessary. Ever since Republicans imposed a moratorium on earmarks it’s been difficult for lawmakers to direct federal dollars back to their districts for specific projects. The ban has also made for stickier negotiations on everything from the budget to the farm bill. Horse-trading can be hard, some say, especially when there’s not much pork in the barrel. Now there is talk about lifting the moratorium — and it’s coming from both sides of the political aisle. Schatz doesn’t think it’ll happen. Furthermore, he said, Hawaii fares well these days when it comes to federal spending. 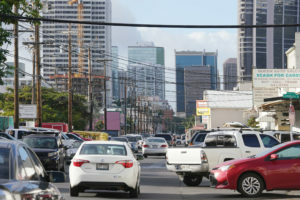 According to The Pew Charitable Trusts, federal spending in the islands equaled 26.4 percent of Hawaii’s gross national product in fiscal year 2014, the 10th-highest such percentage in the country. Still, any talk of bringing back earmarks is bound to generate interest in Hawaii, which used to benefit from them immensely. In September, Minority Whip Steny Hoyer floated the idea while discussing a Democratic reform package that would aim to strengthen ethics rules and campaign finance oversight, including increased disclosure requirements for so-called “dark money” groups. Republicans, too, have considered ending the self-imposed moratorium, including in 2016, but scuttled the plan for fear of public backlash. 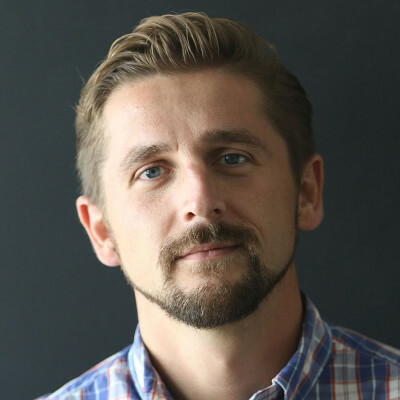 The topic, however, continues to come up, including in post-midterm discussions within the GOP now that the Democrats are about to regain control of the U.S. House. Even President Donald Trump, who vowed to “drain the swamp,” seemed convinced earmarks are good for the country. He said earlier this year during a discussion about immigration that Congress should consider lifting the ban as a way to loosen congressional gridlock. The concern, of course, is an increase in corruption, wasteful spending and pay-to-play politics. Thurber said if earmarks came back they should be subject to strict oversight and public accountability similar to what was in place from 2007 to 2010 when Democrats controlled the House. They implemented reforms that, among other things, forced lawmakers to attach their names to their funding requests. “The return of earmarks won’t end partisan gridlock, but it certainly will help grease the skids,” Thurber said. There are plenty of naysayers, particularly among fiscal conservatives. A number of groups have sent letters to Congress urging them to keep the moratorium, including Taxpayers for Common Sense, the National Taxpayers Union and FreedomWorks. Tom Schatz, no relation to the Hawaii senator, is president of Citizens Against Government Waste, which each year releases a new edition of the “Congressional Pig Book” to highlight what it deems to be the most egregious earmarks in Washington. He also doesn’t buy the argument that earmarks will help congressional dealmaking. 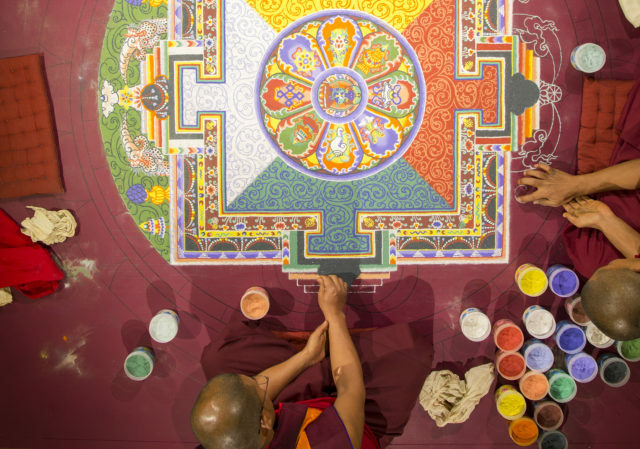 Bhutanese monks create a sand mandala at the East-West Center in Honolulu, which is often criticized by the Citizens Against Government Waste. And just because there’s a moratorium in place doesn’t mean earmarks have disappeared, he noted. There are still plenty of ways for lawmakers to work the system to get federal dollars for their constituencies. He pointed to the omnibus spending deal Congress approved in March, which included lots of set-asides for Hawaii. 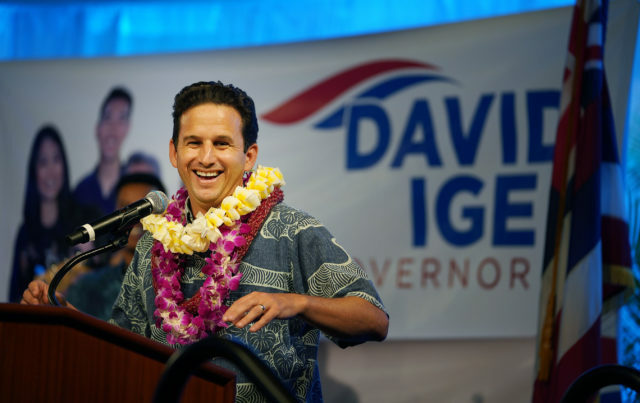 Despite attempts by the Trump administration to eliminate funding, Sen. Brian Schatz was recently able to secure another $16.7 million for the center. 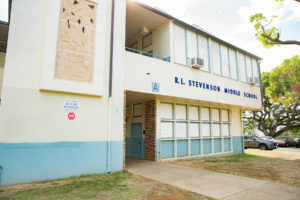 The “Congressional Pig Book” also criticized Hawaii’s delegation for its continued support of efforts to eradicate the brown tree snake in Guam. Over the years, the delegation has supported millions of dollars in earmarks dedicated to the effort. Hawaii Sen. Mazie Hirono smiled at the idea of bringing back congressional earmarks after an eight-year hiatus. The state as a whole received more than $400 million in earmarked funds in 2010 — the year before the ban — ranking it among the top five nationwide in earmark spending per capita. U.S. Sen. Mazie Hirono has fond memories of securing earmarks for projects she supported when she was in the House. 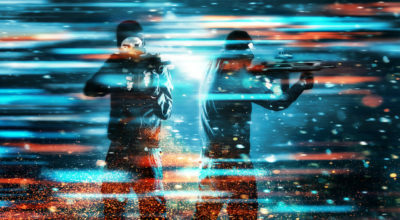 The money went toward everything from building out the military’s footprint on the islands and funding monk seal recovery to scanning the universe for extraterrestrial objects. 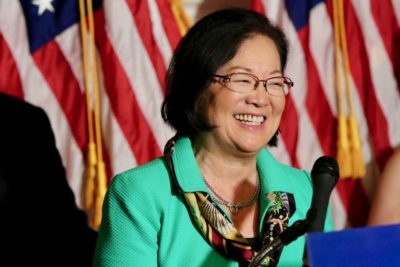 In 2010, an analysis of federal spending data by the Center for Responsive Politics and Taxpayers for Common Sense showed Hirono sponsored or co-sponsored nearly $150 million in earmarks, more than any other of her peers in the House of Representatives. The same was true in 2009, when then-Rep. Hirono sponsored more than $162 million in earmarks. 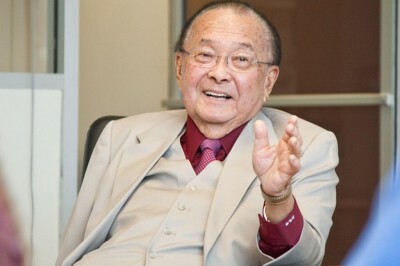 The late U.S. Sen. Dan Inouye, seen here in 2011, was particularly good at getting federal money to the islands. Hawaii has a special place in the annals of earmarking in large part because of the late Sen. Dan Inouye. When Inouye died in 2012, he was chairman of the powerful Appropriations Committee. In the three years in which congressional members were forced to put their names to earmarks, data shows Inouye was among the most prolific of his peers. According to Taxpayers for Common Sense, from fiscal years 2008 to 2010, Inouye put his name to 440 earmarks worth more than $1.2 billion. That figure does not include an additional $1.5 billion in presidential earmarks Inouye helped to usher through the congressional budgeting process. He worked with other members of the Hawaii delegation to secure millions of dollars for Native Hawaiian health care and education. They also earmarked tens of millions of dollars for Honolulu’s “High Capacity Transit Corridor Project,” otherwise known as rail. 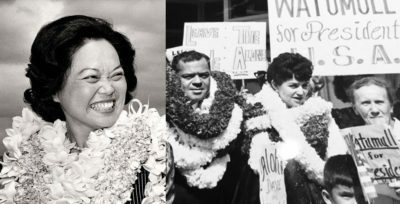 Brian Schatz was appointed to the Senate in 2012 after the death of Inouye. He doesn’t see Republicans in the Senate agreeing to any semblance of a return to the earmark era. 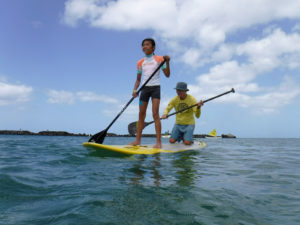 Although he said it would be nice to have that option on the table, it hasn’t been necessary to bring federal money to Hawaii. 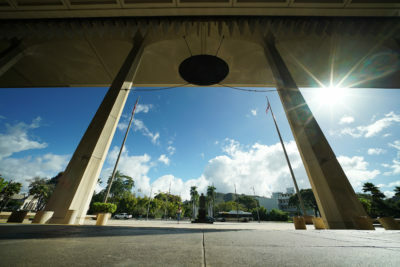 The senator often emphasizes in press releases the money he and other members of the delegation have secured for the islands, whether it’s increased military construction or pushing back against the Trump administration’s proposed budget cuts. 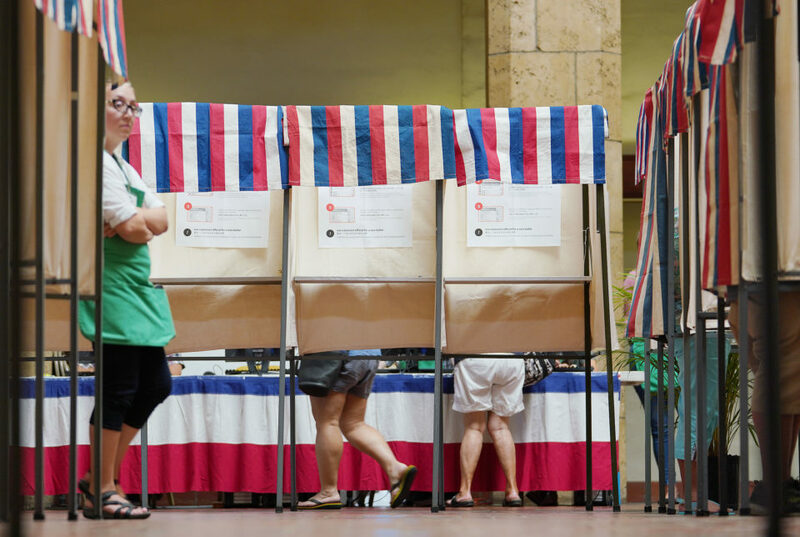 He’s also looked for other ways to bring more money to Hawaii, such as by modifying contracting restrictions for Native Hawaiian businesses that get preferential consideration on military contracts. Those companies, he said, are now eligible for work through the U.S. Department of Veterans Affairs. Sen. Brian Schatz said Hawaii is doing just fine without earmarks. 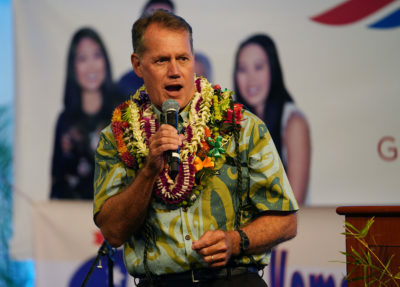 Hawaii Congressman-elect Ed Case, who describes himself as a fiscal conservative, says he’s wary of bringing back earmarks, at least in the manner they existed when he last held federal office. 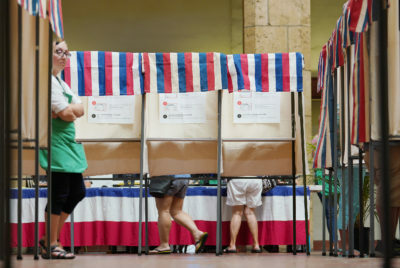 When Case was representing Hawaii’s 2nd Congressional District from 2002 to 2006, Republicans were in power and there was little transparency surrounding the process. Congressman-elect Ed Case has experience with earmarks from a previous stint in Washington, but is wary of bringing them back. It wasn’t until Democrats retook the House in 2007 — the year Case left Congress — that earmarks were banned for for-profit entities and lawmakers were forced to attach their names to earmarks as a means of attaining some semblance of accountability. Case, who will now represent the 1st Congressional District, said the earmark system was fraught with problems that led to distrust in government spending. Case doesn’t buy into bringing back earmarks just to increase bipartisanship. He said that should be done through cordial conversation among colleagues and working across party lines in groups of members of both parties, such as the Congressional Reformers Caucus. Hawaii Congresswoman Tulsi Gabbard did not respond to requests for comment for this report.